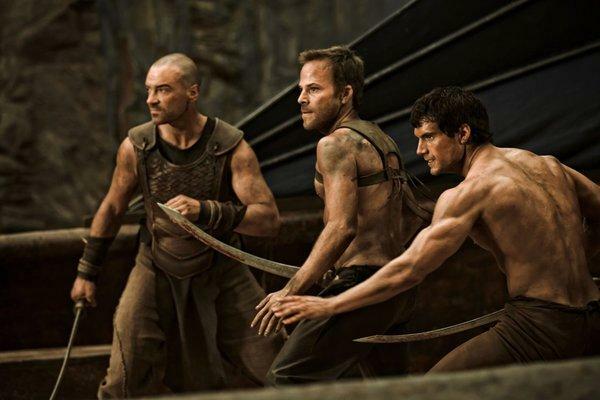 Henry Cavill did a lot of work to get in this shape for the Immortals. You’ll see images of actors who get in amazing shape for a movie. Much is made of their transformation. Everyone wants to know what they did and how they achieved such impressive results. And then you hear about their training and the hours upon hours of hard work they put in to achieve these results. This is when people lose interest. It’s true, there’s no substitute for hard work. Unless, of course, you compare it to smart work. The problem with these transformations that actors go through, is that as soon as the movie is finished, they find themselves right back into their usual lifestyle. A lifestyle that is similar to a lot of our own, in that it leads to an average looking physique. This series has been entirely about creating a lifestyle that will lead you to having a ripped physique year-round. No bulking and then cutting. We’ve gone over nutrition, supplementation, and lifestyle techniques, and now we get into my favourite topic: training. Training to get and stay Ripped. Sprinting is one of the best exercises there is for burning fat and maintaining muscle. Where long runs increase cortisol levels, sprinting keeps them on the sidelines. They actually help us boost testosterone levels which is a very important benefit. Take the time in your day to find a hill, a track, or a flight of stairs, and get some sprinting in. This is arguably the greatest factor to getting and staying ripped. 3 reps (back-to-back) – 60 second recovery…. continue up to 5-10 sprints, then work your way back down until you’re back to 1 sprint. Alternative to sprinting: play a sport. The quick sprints and reactions in basketball, football, and hockey are great alternatives – that are also a lot funner – to sprinting. Lift heavy at least once a month. When our goal changes from bulking to cutting (which are two bad goals in the first place) we often cut out heavy lifting in favour of higher-rep sets. The idea is that more reps will burn more calories. But getting ripped, as so many believe, isn’t about burning calories. It’s about building muscle while burning fat at the same time.